Now on to a "real" post. It has been quite some time since I have been to Fallen Gods (SLurl), a really great fantasy shop and role play region but, when I tracked down an adorable little avatar to the shop I was not surprised. They are known for top-notch quality and a bit of whimsey. 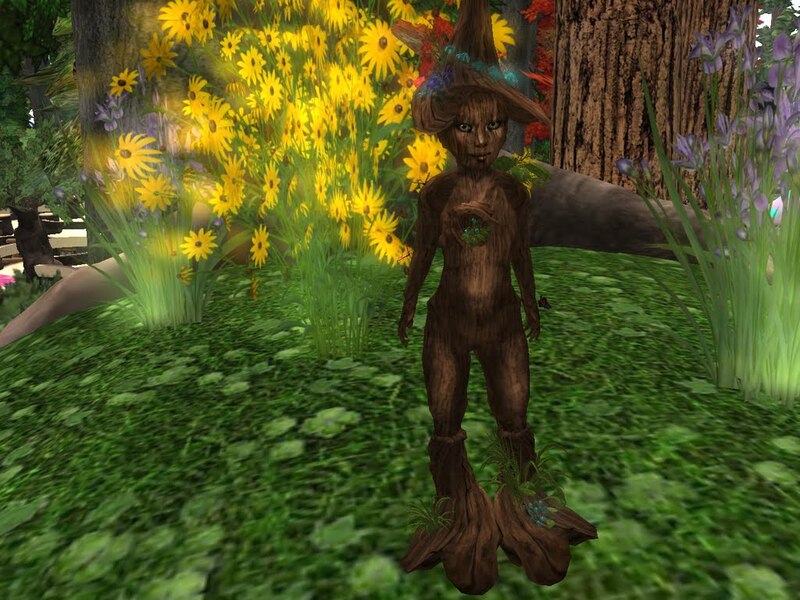 And here she is, a little sapling, one of three avies you can win if you visit. This one is part of the awesome Kawaii Hunt (Web). Find a cute little blue star and this avie is yours free! And you match someone on the Lucky Fortunes machine, you get a matched pair of adult-sized avies in this style. Incredible textures are the highlight here, but the prim work is impeccable. I hope Fallen sells these after a while and that they make a fortune doing it. I'm not going to complain about free, but I would have paid top-Linden for these. Some Epic Butterfly Buddies (Web) and my Linden home in the Elderglen regions complete the scene. I really, really have to get to the rest of the Hunt soon. It's so ... um ... Kawaii!! Haters gon hate! There will always be someone who has a problem with what you do. I thought it was a fantastic hunt. *Sends Serenity tons of hugs! * Don't let those jerks getcha down! You did an awesome job putting all this together.